Tiffany & Co… the name instills images of Beauty, Romance and the iconic Blue Box. It is a Symbol of Excellence. For 175 years, Tiffany has created a legacy of exquisite designs and romantic ideals. Tiffany & Co.’s rich heritage of celebrated artists, historic milestones and magnificent jewelry creates the foundation from which our employees build upon each day. Tiffany employees are passionate, kind and professionally committed. We hold ourselves and our co-workers to very high standards. We continually educate ourselves about new merchandise collections, cultures and the evolving luxury market. Our respect and love for the brand creates a workplace like no other. We expect our employees to deliver the Tiffany Experience to each and every customer and Tiffany is committed to creating an organization that recognizes and rewards excellence in service of this promise. For us, it is a dream to be associated with a company that is forever aligned with exquisite craftsmanship, timeless design and a dedicated commitment to corporate sustainability. Sales Professionals hold the critical position of embodying the Tiffany brand in each and every customer interaction using the Tiffany touch; their own flair for making each client’s experience extraordinary. The Sales Professional is an excellent communicator and brand ambassador. His or her passion for Tiffany is conveyed in every conversation and an entrepreneurial spirit is prevalent in the make-up of every sales professional. Developing client relationships and exceeding sales plan is first and foremost in the Tiffany sales professional’s skill set. 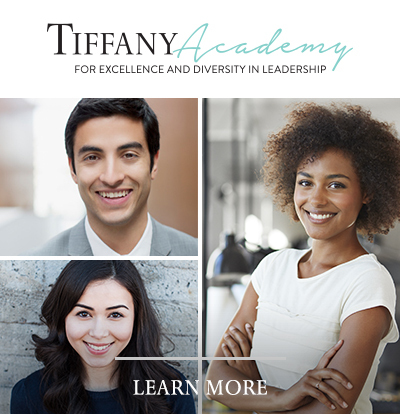 The love of building his/her own business by developing client relationships and exceeding sales plan is first and foremost in the Tiffany sales professional’s skill set. Sales: Deepen the relationship with our customers to drive lifetime loyalty and spend. Consistently achieve or exceed monthly, quarterly and annual store sales plan. Capture customer data. Cultivate new and existing customer relationships. Deliver a significant portion of sales through repeat client business. Drive business through key product pillars. Service: Elevate in store experience by consistently delivering memorable moments to every customer. Demonstrate passion as a Tiffany brand ambassador during every selling ceremony using the Tiffany Touch; your personal touch. Demonstrate Customer Experience Behaviors identified within the TEI program (Voice of Customer Survey) and with Tiffany customer experience vision. Execute best practices by optimizing hospitality and store amenities to create unique experiences and take action on TEI performance and client feedback. Graduate Gemologist degree or previous Gemological Institute of America (GIA) course work is preferred.